Mobile BI is something that has become increasingly important in our modern always-connected world, as you no longer have an excuse to leave your work at the office (thanks Mr. Jobs). Consequently, we’ve become increasingly reliant on getting things done on-the-move – usually during our daily commute whilst brushing our teeth and attempting to smooth the creases out of yesterday’s shirt (or is that just me…?). 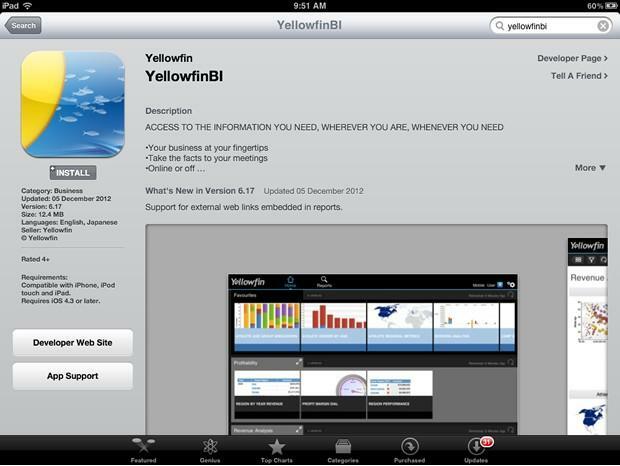 Accessing Yellowfin’s mobile apps is easy – we’ll have you collaborating and making decisions with your data while on-the-go in no time! 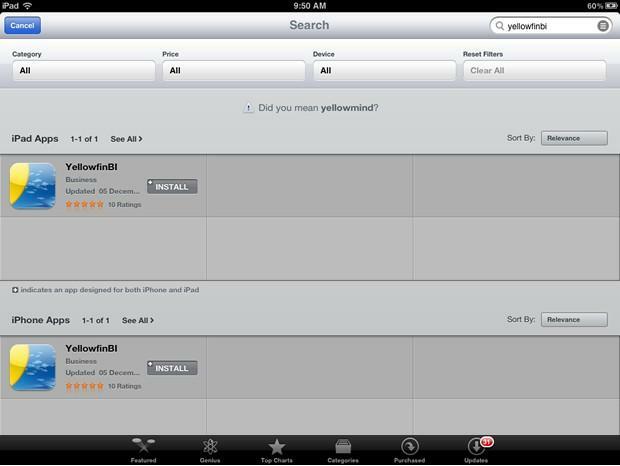 The app will come with a default connection to the Yellowfin demo server, so you’re ready to go. Now enjoy that second coffee & muffin as you can now prepare for your meeting during your morning commute. You’re welcome. Also note, we are expecting to have our latest Andriod app up ready for your enjoyment by the end of February.